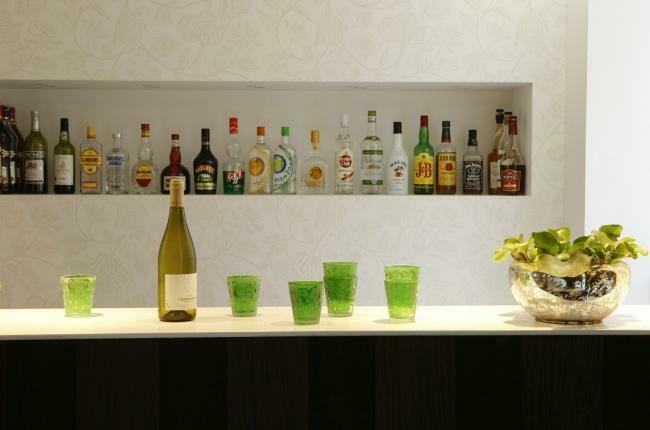 Dressed in its white and green tones, the bar awaits you in the extension of the reception hall and offers you a relaxing break at any time of the day. During the day, enjoy a tasty drink in a simple and relaxing atmosphere; In the evening, enjoy an aperitif in a lounge spirit. Every evening, from 6pm to 9pm, we invite you to our Happy Hour for a friendly moment.